My mother, Marilyn Matthews, and her dolls, Queens, NY, c1939. What I like best about this photo is not as obvious as a laughing girl and her doll collection. 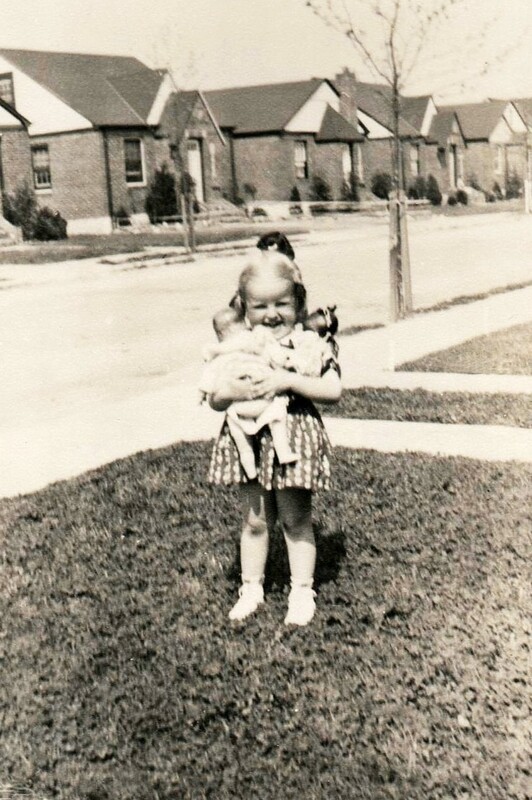 Look closely and you’ll see there’s one doll perched on the back of my mother’s neck. That’s what Mom thinks is so funny. That’s definitely my grandfather’s sense of humor.